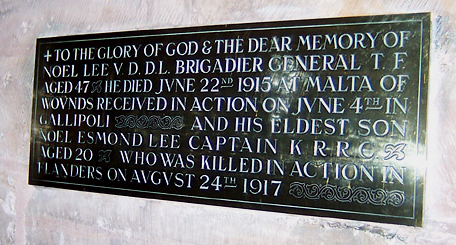 Noel Lee, together with his son Noel Esmond Lee, also lost their lives in WW1. 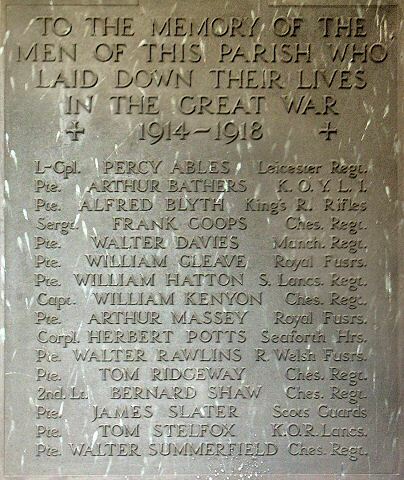 The family arranged for a brass plaque to be placed on the south wall at St.Mary’s in June 1918, in memory of them both. (Faculty applied for on 12th April 1918).